Here are two videos about the upcoming Samsung F700 smartphone from SlashGear. 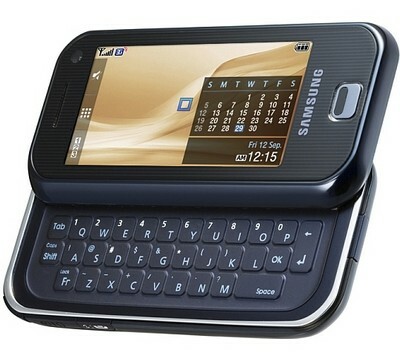 The Samsung F700 supports HSDPA 7.2Mbps, EDGE, GSM Tri-band and 2.1GHz. The F700 comes with a 5 Megapixel camera with auto foucs, a 2.78-inch 440×240 260k color TFT LCD display, QWERTY keyboard, Blutooth, USB and a microSD slot. It supports also MPEG4, H.263, H.264, AAC media file formats and Full HTML Browsing. It comes with Flash UI and document viewer. Watch the two video after the jump.